White House National Security Advisor Susan Rice is planning to meet with members of the Congressional Black Caucus (CBC) on Monday to sell them on President Obama’s Syrian missile strike plan. 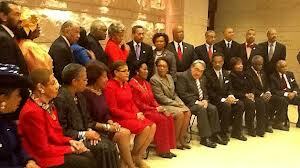 Obama is counting on the Black Caucus’ support, which could provide over 40 House votes. In the meantime, members of the Black Caucus were urged to hold off on weighing in on Syria pending more details on the matter.